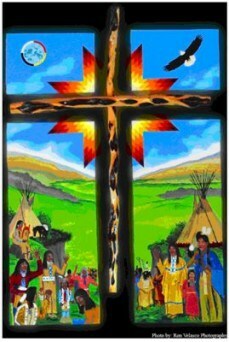 Welcome to All Saints Episcopal Indian Mission in Minneapolis. A historic church in the Corcoran neighborhood of Minneapolis, we have traditionally served the generations from the Little Earth community. We welcome all, without exception. We are proud to sponsor First Nations Kitchen, the state’s only program serving free meals that are based on traditional Indigenous diet. Join us for prayer, worship and community life. for our visit within your creation. through which all of creation is related. You show us the way to live a generous and compassionate life. as we grow in your spirit, for you are God, now and forever. Amen.